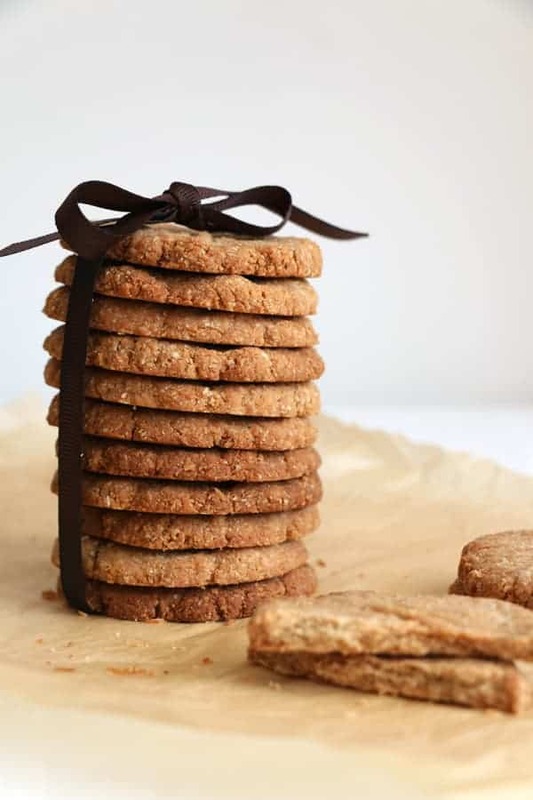 Yesterday I was all set to make some Anzac Cookies, a recipe that I’ve wanted to share with you for a while, but ended up with these yummy Almond, Buckwheat and Cardamom Cookies instead. 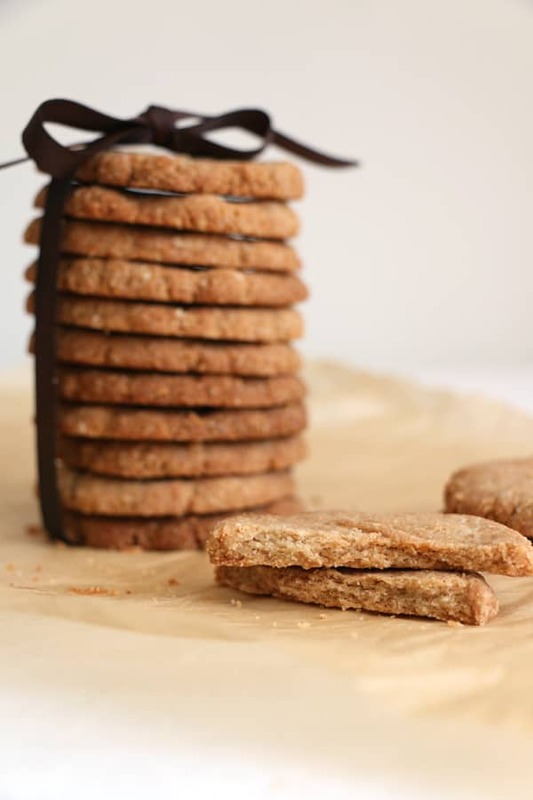 When I started making my Anzacs I realized I didn’t have all the ingredients I needed, not very organized of me, so I’ve created a brand new recipe by chance. And I’m so happy that I did. Anzacs will just have to wait until next time. This recipe is gluten-free using a mix of buckwheat, ground almonds and desiccated coconut sweetened very lightly with maple syrup. I’ve added some cardamom, it’s one of my favourite spices and because of the simplicity of this cookie, it works really well in the mix. This time I have gone more traditional and used butter in this recipe, but you could replace it with some coconut oil if you wish. 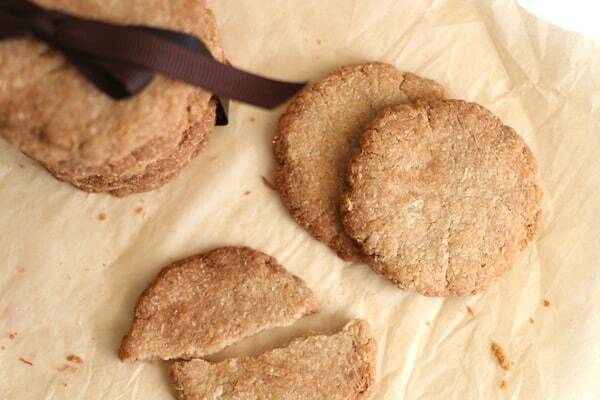 Also use quite fine desiccated coconut to have a very biscuity texture. In a large bowl whisk together buckwheat flour, ground almonds, coconut, cardamom, soda and salt and set aside. In a small pot melt butter, maple syrup and vanilla and pour over the dry mix. Mix everything well together and leave to stand for 10 min. Either with a hand or a scoop form small balls with a mixture and place onto lined baking sheet. Flatten gently with back of a fork or palm of your hand. I always use my hand as I like them nicely round and quite flat. Depending on the size you should have about 24 cookies. these are beautiful and exotic, and I love that they are naturally gluten free. 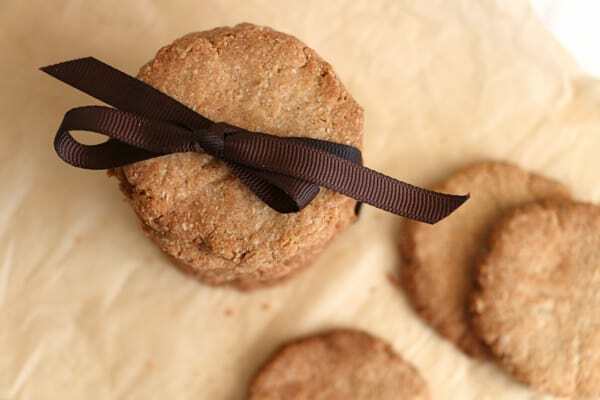 These cookies are absolutely delicious, light, crunchy, not too sweet and seriously moorish! These were delicious. Thank you for inventing them. My two little boys loved them. They are set to become a fixture in my biscuit tin. Thank you Eugenie! I am so happy that you and your little boys have enjoyed them! Hi, it’s dried shredded coconut, in the UK it’s normally called desiccated coconut. You could also use flaked coconut and blend it to get more fine consistency. thank you i was wondering too! Hello :) would it be OK to leave the maple syrup out? I’m on a candida free diet :( thank you! 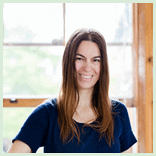 Hi Raluca, you can use coconut oil, although I haven’t tried it yet in this recipe. Just add enough melted coconut oil to have moist dough to shape into cookies. I would say 1/4 to 1/3 cup should be enough. Could I replace the maple syrup with molasses (unrefined sugar)? Thanks in advance. these look lovely!! I would love to try the recipe later, but unfortunately I don’t have all the ingredients. I was thinking to substitute the cardamom with cinnamon, and what would you suggest for the coconut? I have some nuts i could blend.. bad idea? These are really good! I didn’t have butter so used coconut oil but I think I didn’t use the correct amount so they didn’t bind so well. It still worked somehow albeit a bit too crumbly! And will try them again properly with butter! Thanks for this lovely recipe. I am new to gluten free cooking and this is actually my first recipe!! I have followed your directions and the mixture is very crumbly, not like a dough. When I squeeze it into a shape, it is very fragile and breaks very easily, do you have any ideas what I may have done wrong?! Hi Lisa, I’m really sorry about that. I actually have no idea why it’s too crumbly if you followed the recipe. What I would suggest is putting the mix into the fridge to see if it gets more pliable and easier to shape into balls. Press the mix tightly together into balls, place onto the baking sheet and then gently flatten the top. It’s a lot of trial and error sometimes cooking with new ingredients and they vary so much too:) Hope this helps. Love the simplicity of this recipe and flavors used! Do you think I could use freshly grated coconut instead of the dried ones? Thank you Radhika! I’ve used fairly fine desiccated coconut in this recipe. You could certainly try if you grate it quite fine, but one thing to keep in mind is that it will create more moisture. Maybe try with less amount and see how it goes. If it doesn’t stick together, cool it for a bit in the fridge before making the cookies. Hope this helps. I live in the US and my oven uses Fahrenheit temperatures. Would you say these should be cooked at 350 F? I’m not as familiar with Celsius. I tried this recipe yesterday. They came out delicious in my opinion! But my husband didn’t find them sweet enough. Could I substitute honey for the maple syrup? he biscuits were a failure I’m sorry to say. I”m sure I either done something wrong, or the ingredients I used are not the same because you’ve had so many glowing reports about the biscuits. The biscuits didn’t hold together and became crumbs when cold. I live in Eastern Europe and the buckwheat flour is very dark. Given it’s the main ingredient by weight, there’s no way the biscuits could turn out the colour of you those in photos. I substituted honey for maple syrup because we keep our own bees. Perhaps the coconut was too dry; it’s not so commonly used here. Any thoughts? You’re correct I used roasted Buckwheat flour. Much better results – not perfect, yet! – but better with non-roasted. Hi Peter, I’m so glad to hear that! We love these biscuits! It does take quite a bit of effort to shape them evenly flat so they don’t crumble away at the edges, but after reading the comments I’ll try chilling the dough next time. Thanks Hana for such a simple, delicious and nourishing recipe! Oh my gosh, these biscuits are so, so delicious! I could eat all the 24 cookies on my own :) Thank you so much for this lovely recipe. Turned out perfect! Thank you so much Margot for this lovely comment! I’m so happy they turned out perfect! Love the ingredients & sweetness was perfect. I did make a couple changes. Added 1t of almond extract, 1 egg, some almond pulp from almond milk I made & used almond flour. I made my cookies larger so that I had 11 cookies. They were tasty but dry. What can I do to remedy the dryness? Thank you for a wonderful recipe. Forgot to add in my previous comment that I used coconut oil instead of butter. Hi Hana, thank you for a great recipe! I’m also on the Candida diet and will try substituting maple syrup with Stevia. Hope that works. Hi Mikiko, yes, I’m not entirely sure how that will work, but please do let me know. A little bit of nut butter might help with the binding too. I am looking forward to baking them today. I love experimenting rather than following what the recipes say. Let’s see what comes out of it. But most of all thank you for being such an inspiration! I made these cookies exactly as the recipe laid out. 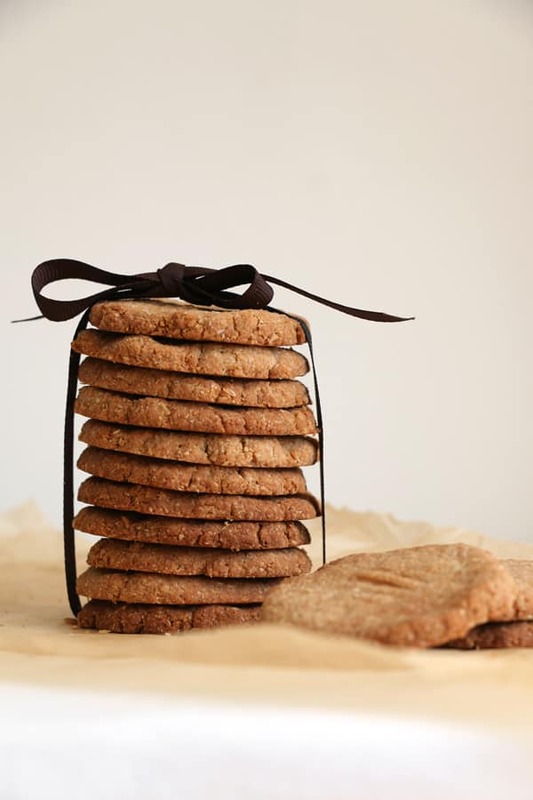 They baked perfectly and are delicious – but I need to know how you managed to get buckwheat flour cookies to be golden? Mine are GREY. Tasty, but very weird to look at. Hi Erica, I’m so happy the recipe worked well for you. I think it will be the type of buckwheat flour that you’ve used, I’ve noticed that some brands are much darker than others. Hi Anwaar, if you can tolerate sunflower seeds, then ground sunflower seeds would be great replacement. Otherwise the recipe would change quite a bit. Hi Hana, Can i try this with half buckwheat and half millet flour ? What do you suggest ? Hi Sudha, yes, definitely. You can use just millet flour too if you prefer. Thank you! Thank you! We love this recipe. I followed it exactly, except I substituted coconut oil for the butter. The dough was easy to mold into shape and the cookies were crunchy and delicious and looked just like your picture. I have never used cardamom in baking. Who knew? 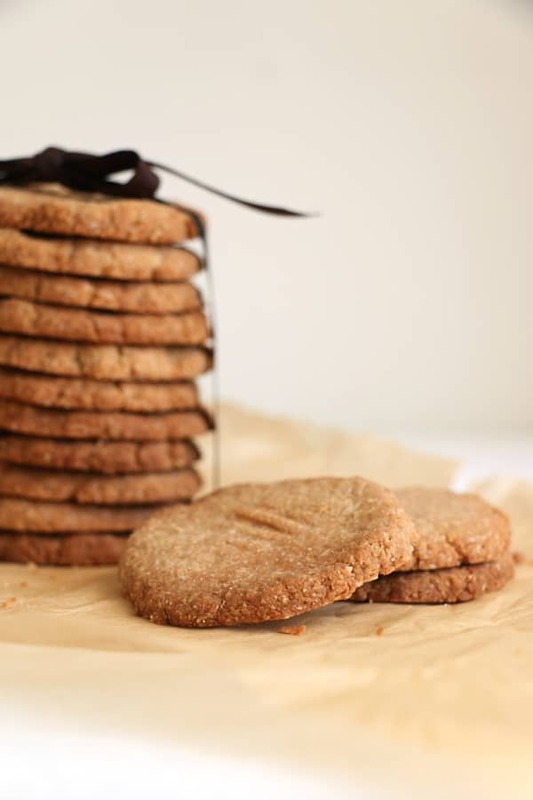 Between allergies and diabetes in our family, these gluten free, dairy free (using coconut oil), sugar free, and egg free cookies are not only tasty, they are wonderfully nutritious. Hats off to you Hana. Well done! What kind of butter to use? Hi Shiffali, any butter should work in this recipe. You could also use coconut oil. An absolute winner, tasty, not too sweet, crunchy and easy to make. Glad to have stumbled across your website and hope to make more yummy healthy treats! Once these cookies have been baked can they be frozen so they last longer? Hi Shannon, I’ve never frozen these, but I’m pretty sure you can. I regularly freeze my recipes and never have had problem. They should keep well in freezer too. As a new diabetic who loves to bake, these are perfect. Delicious, perfectly slightly sweet and a lovely texture. Thank you! As I can’t have any oils, is there a subsitue? Hi, you could try replacing it with banana which would help to stick the dough together. Also possibly aquafaba (chickpea brine) or some medjool dates.